﻿ Amy Robinson dog trainer and pet expert. Founder of Drool School. attention at both ends of the leash. 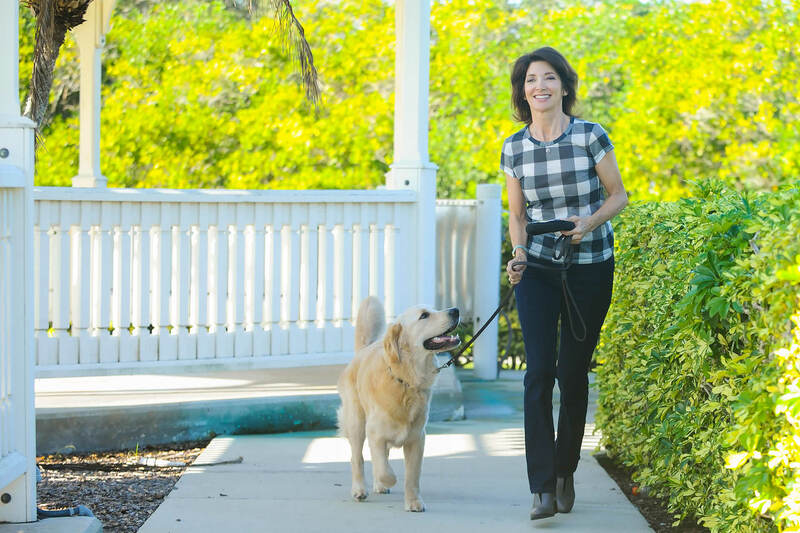 Amy is a recognized dog training expert and author, with popular columns in print and online. Editorial pieces or product placement in smart, search-friendly articles. Marketing directors, news anchors, and producers weigh in on Amy's work. From concept to completion: pet product demos, original video, and live news appearances. Bespoke private lessons in Vero Beach, Florida for fast-track training and problem solving. Parents' Choice Foundation Recommended Award for outstanding children's media. Sampling of Amy's pet product videos, infomercials and news appearances. Amy’s extensive knowledge and skill working with dogs is unquestionable, which happens to be further complimented by the fact that she is excellent communicator. Whether it’s responding to audience questions online, behind the scenes scriptwriting, or in front of the camera... Amy is an absolute pro! You are such a fun writer to edit. Not only are you informative, you're fun. I laughed out loud at the last paragraph -- particularly the ice cream wrapper stuck to the dog’s lip. Thanks for making my day and helping keep the editing life easy.